PUL stands for Polyurethane Laminate. 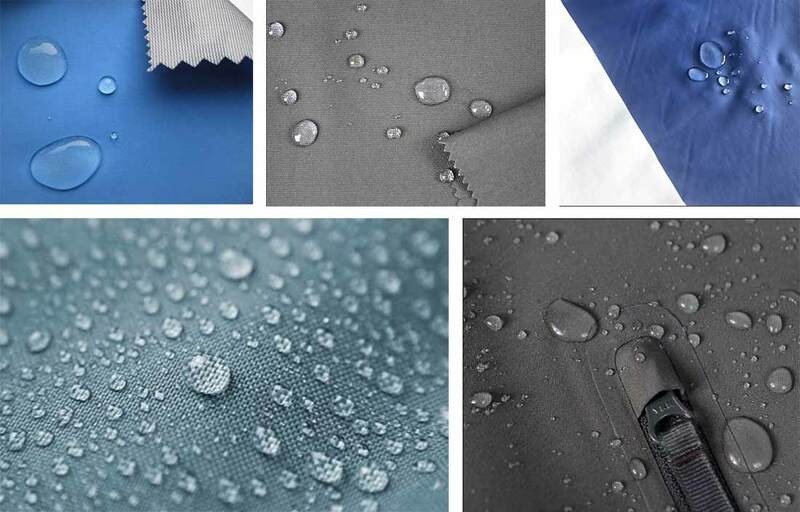 PUL is a fabric with a plastic backing coated with a thin waterproof /water resistant coating. The best thing about PUL fabrics is that it is completely waterproof, very durable, breathable with a slight cross grain stretch and you can easily wear it next to the skin, because the fabric side is soft, flexible and comfortable. You get PUL fabric in thicknesses of 1 millimetre and 2 millimetres of the plastic coating. The fabric can be knit or woven, 100% cotton or a blend of polyester and cotton. Polyester PUL is thinner and softer than the cotton PUL. The best thing about the PUL fabric is that you can wash it any number of times without damage. TPU stands for Thermoplastic polyurethane; it is a better alternative to PUL fabric and used interchangeably with PUL in making waterproof products – more softer, flexible and environmentally friendlier (questionably) than PUL. And the functions are the same. The disadvantage is that it may be less durable than PUL. Laminated fabrics are an alternative to PUL material as it is of the same concept. A thin waterproof coating is given to fabric. Laminated fabric is used to make weather protective clothing like raincoats, windcheaters, ski wear, protective jackets, hats; this fabric keeps the wearer dry and comfortable under extreme weather conditions. Laminated cotton is a wonderful fabric suitable for making many things because it is breathable and flexible. It has a laminate layer of about 1-millimeter thickness on the fabric. Laminated poplin is a favourite of many international brands to make protective clothing including jackets. There are mainly 3 types of laminates – Non-porous laminate, micro porous laminate, viscous coating. Polyester microfiber fabric with a special waterproof coating is available – this is 100% waterproof. It has a supple suede finish on the outside and is used for making garments like jackets.